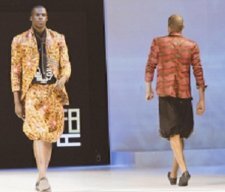 Three Botswana fashion designers participated in arguably what is Africa's biggest fashion event - Fashion Business Angola. 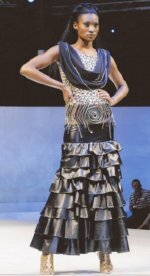 The three were Mpho Kuaho, Black Trash and Mokgadi Thato. 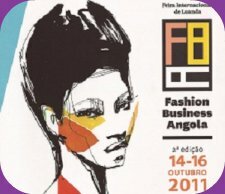 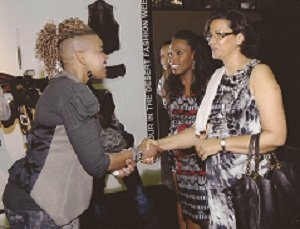 Fashion Business Angola, which took place on 14th to 16th October 2011 is recognised as the coming together of all African fashion designers. 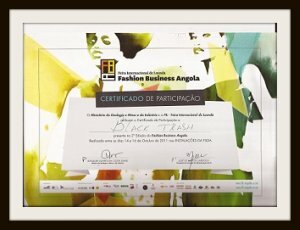 A total of 42 designers from all corners of Africa converged into Luanda, Angola. 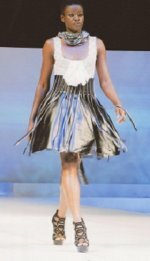 On this page we display the designs by Black Trash. 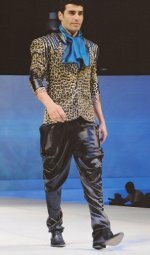 If you want to contact the label, go here.